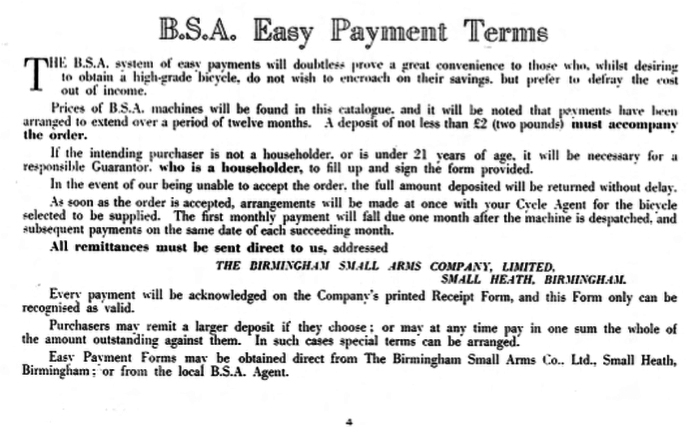 The Model 7D was the most expensive variant on offer, priced at £11 15/- cash or £2 deposit with 12 monthly payments of 18/- 3d. 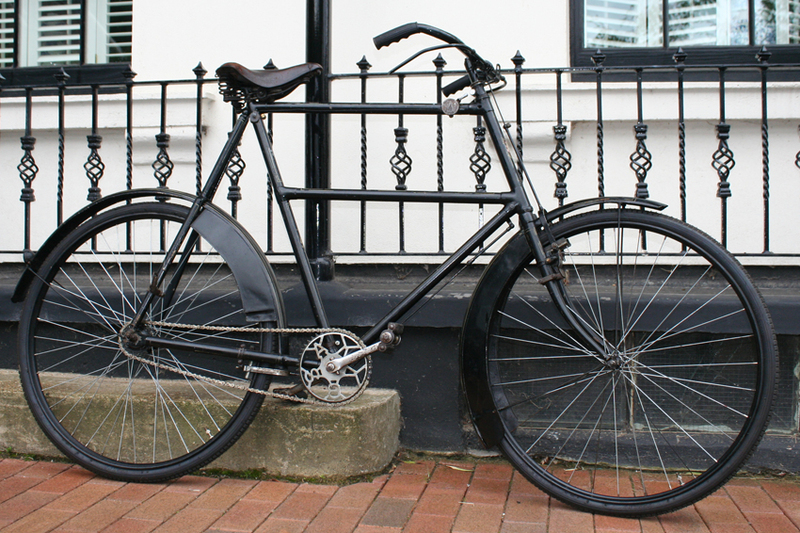 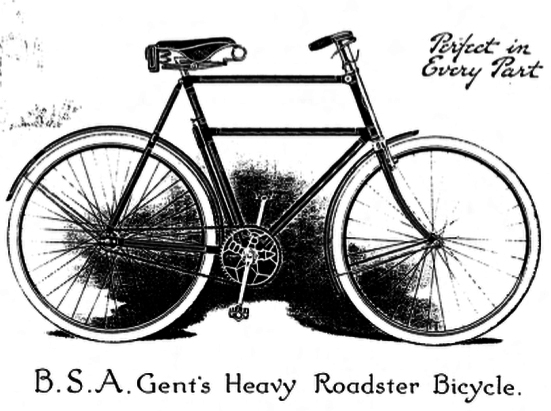 Though you could obtain a 30″ bicycle by special order, a 28″ double top tube roadster was the largest machine offered in the BSA catalogue. 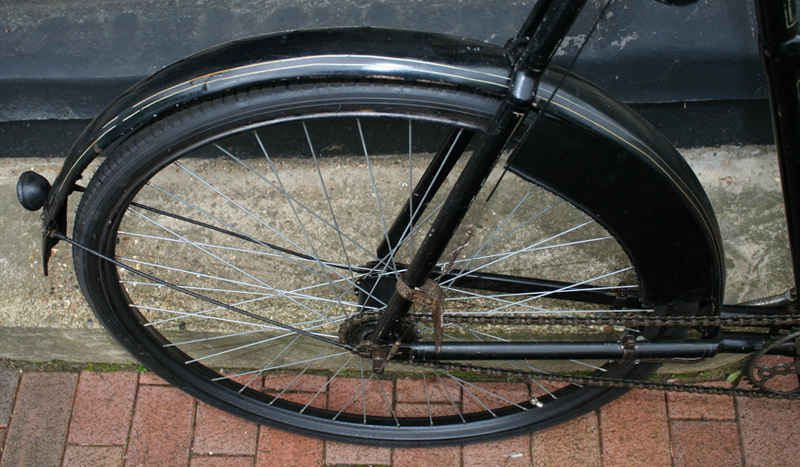 This machine would actually have cost more than the stated price, because it is additionally decked out with de luxe ‘weatherproof’ mudguards (below). 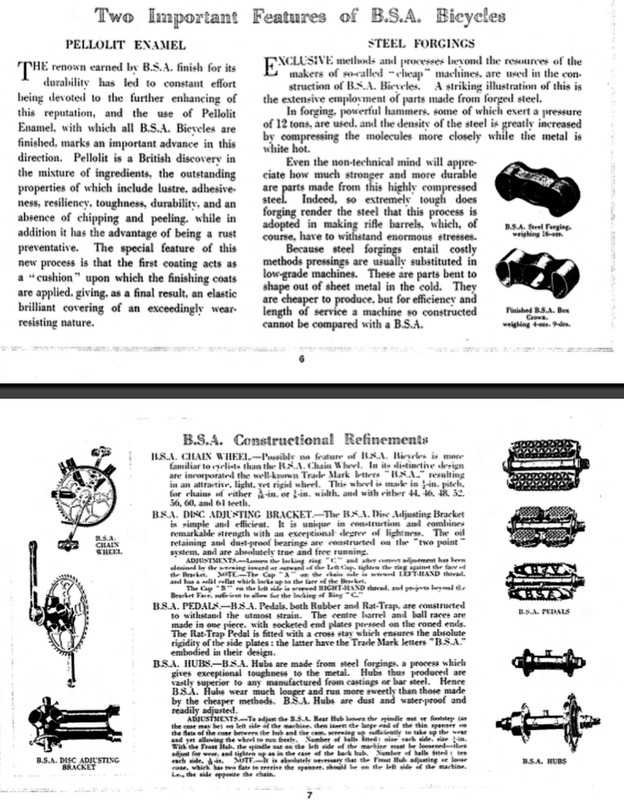 They were a very attractive accessory at the time, and ideally balance the appearance of this very large machine. 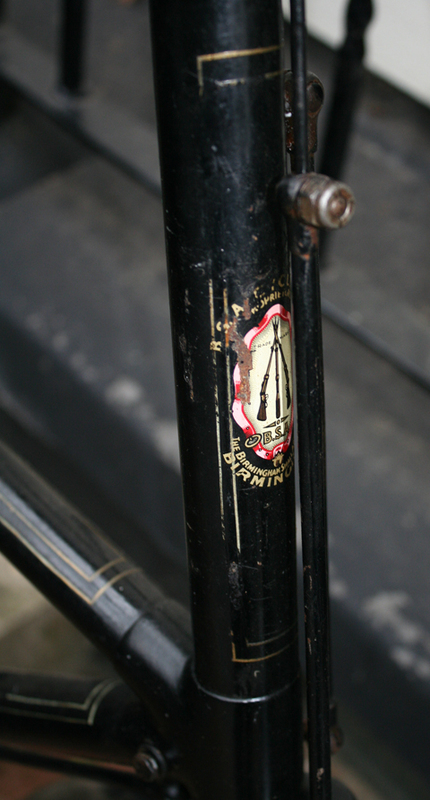 Considerable work has been done on this rare BSA. 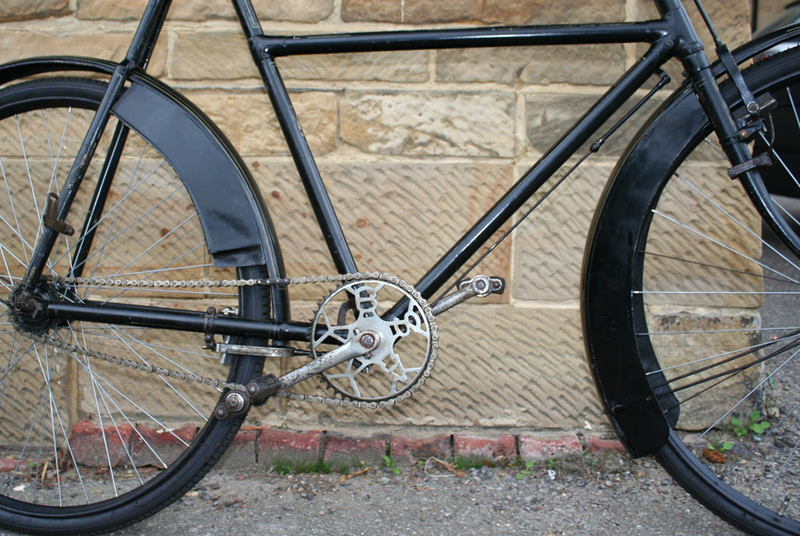 It was restored many years ago, and rebuilt again last year by my friend Tony, including an overhaul of the rare BSA Three-Speed hub. 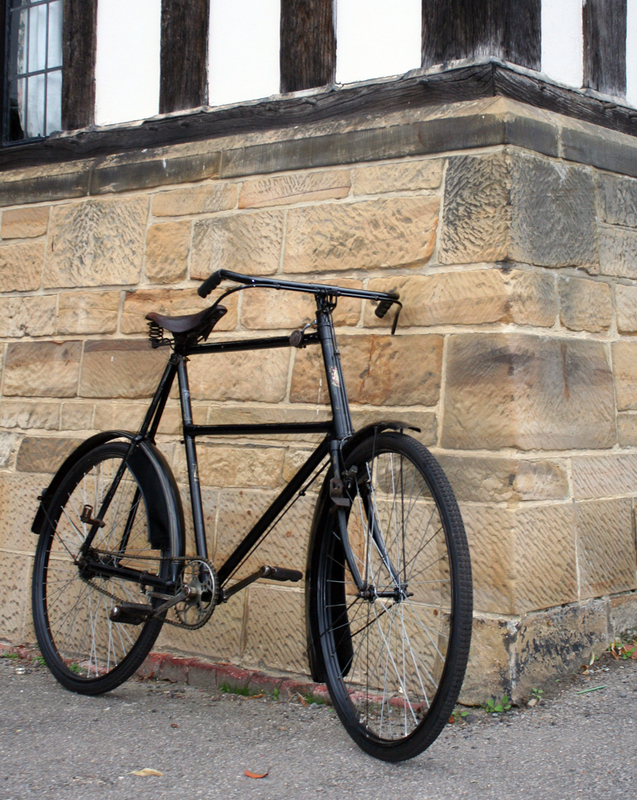 He rode it regularly while he owned it. 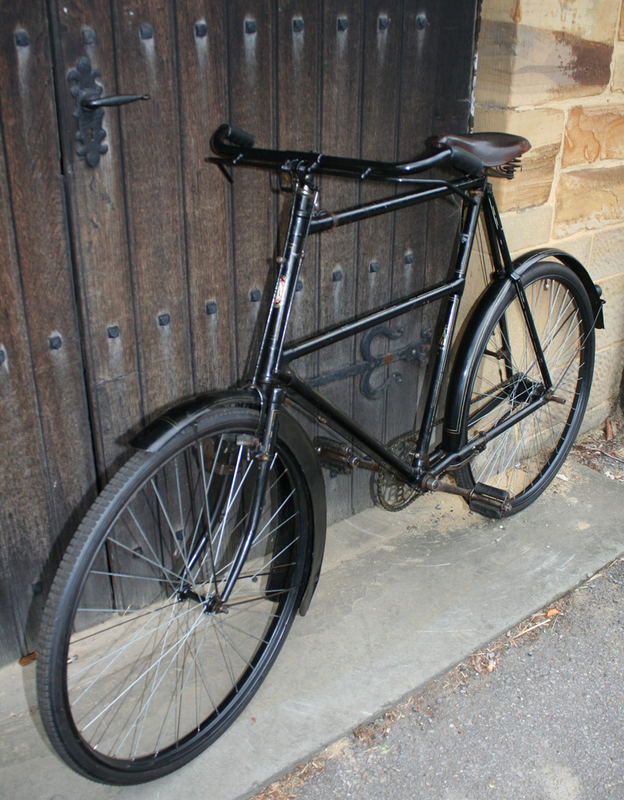 This size frame would be suitable for someone with a leg size of 34″ or more. 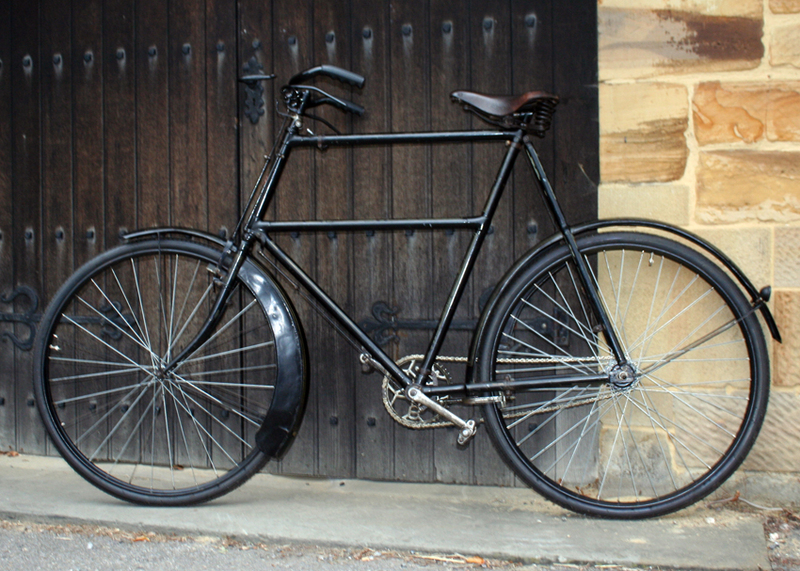 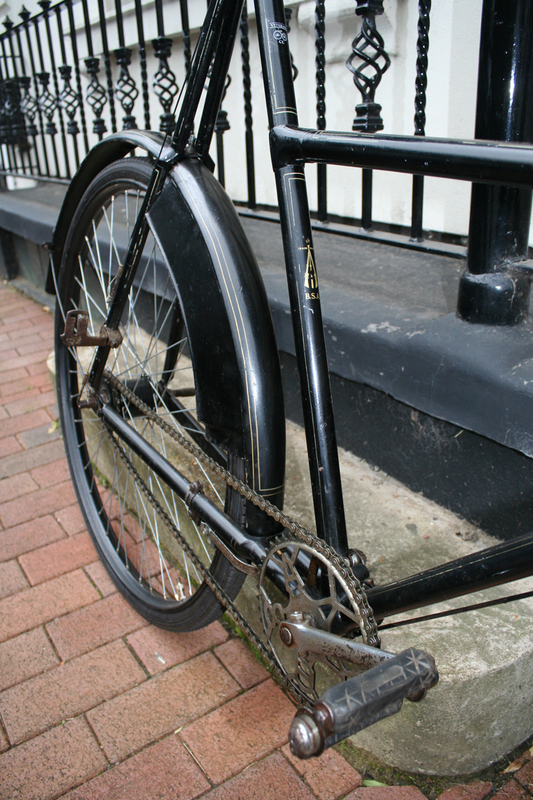 Leg size for a bicycle is measured from the crotch to ankle, the same as measuring for trousers when ordering a suit. 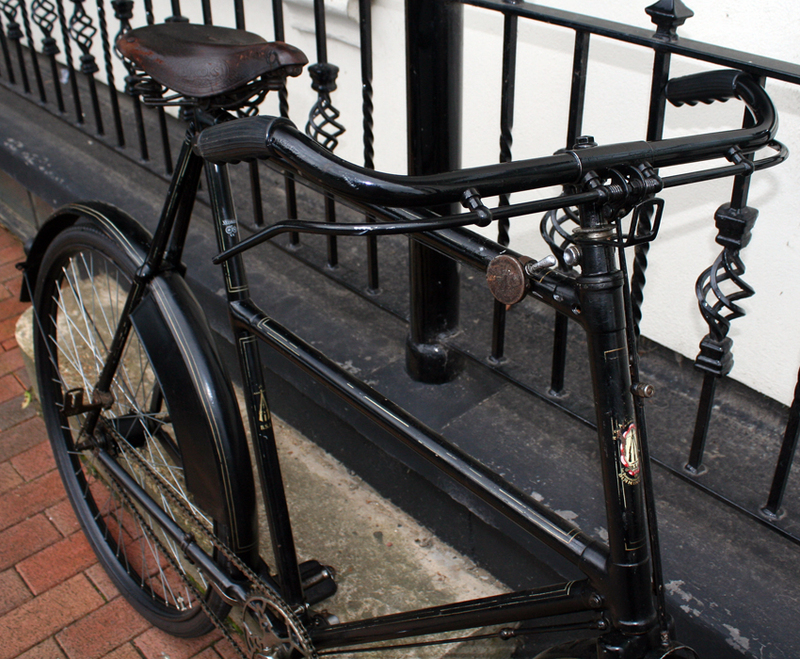 I assume the rider’s height would be 6′ 4″ or more. 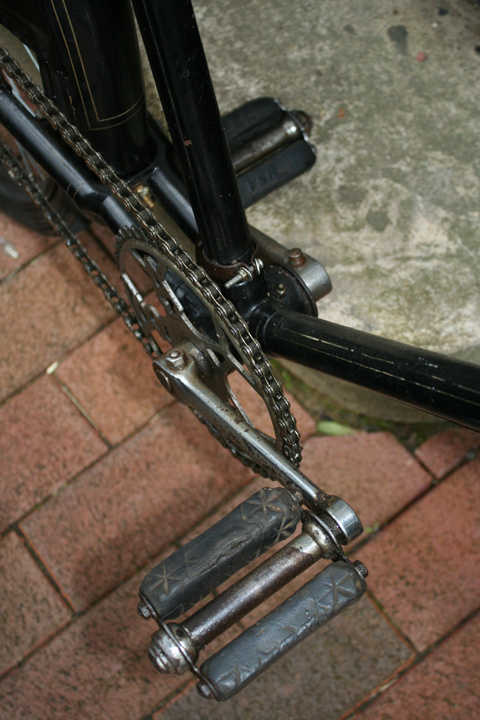 Tony is a midget of 6′ 1″ so though he rode the bike often, he sometimes he fell off it. 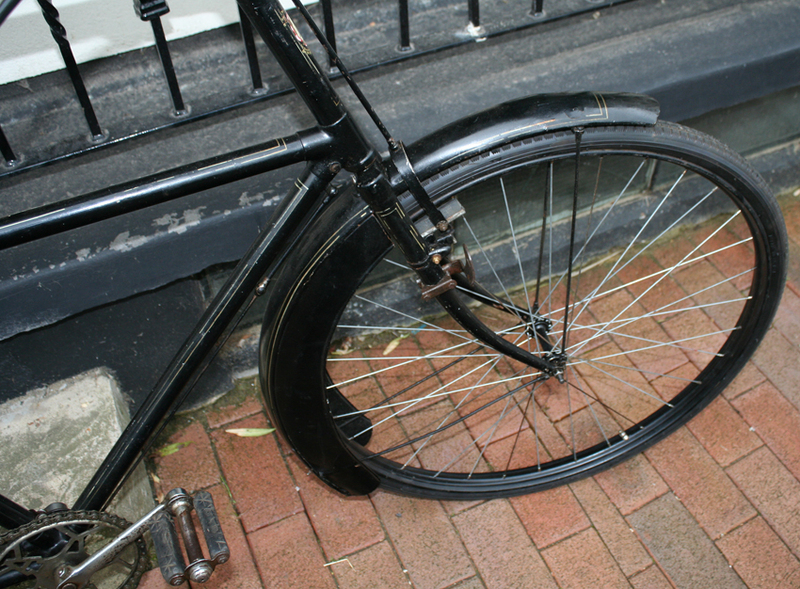 The problem with riding a bike that’s too tall for you, of course, is stopping. 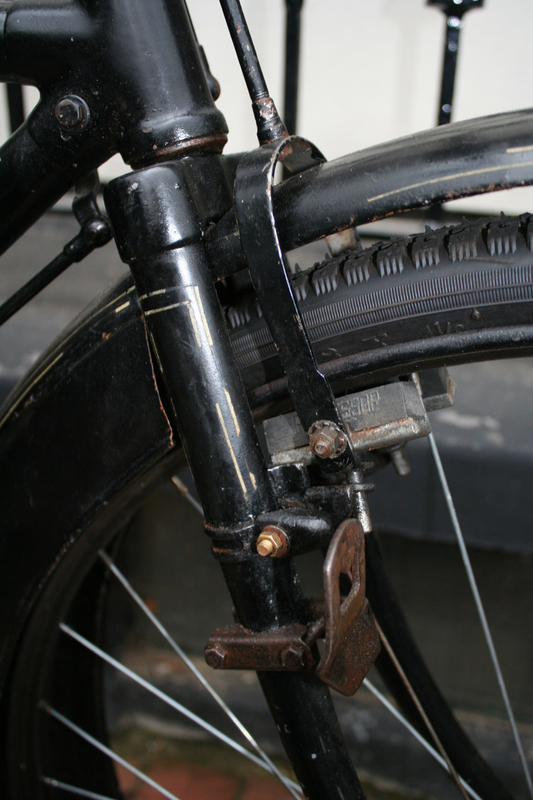 You can jump on easily enough (with practice) from the rear step; but to stop you must lean it right over to reach the ground. 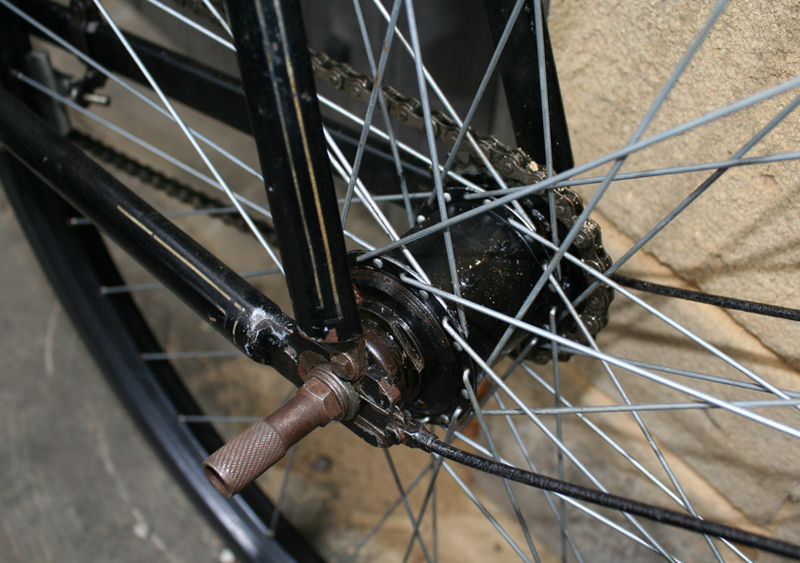 As you can see, the wheels have been re-spoked with heavy duty spokes. 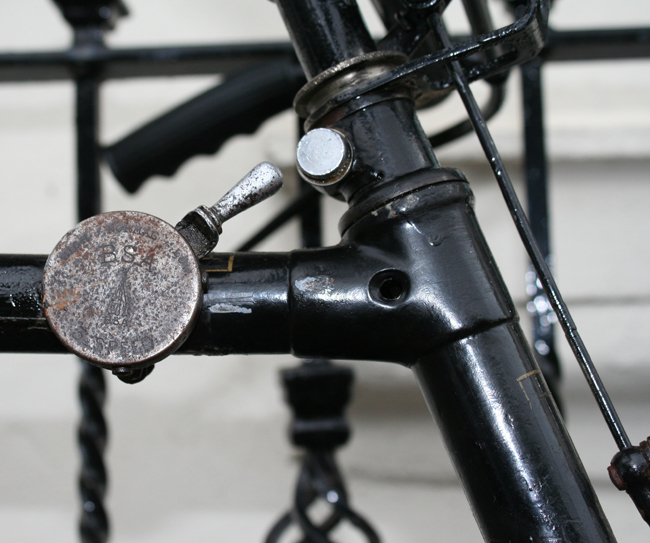 Sixpence unto the clerk you owe. 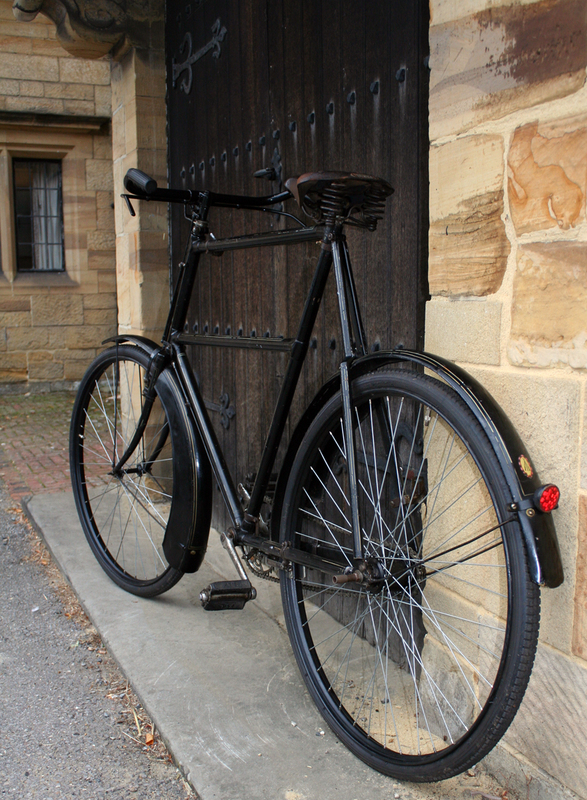 I took these photos in the beautiful village of PENSHURST, KENT. 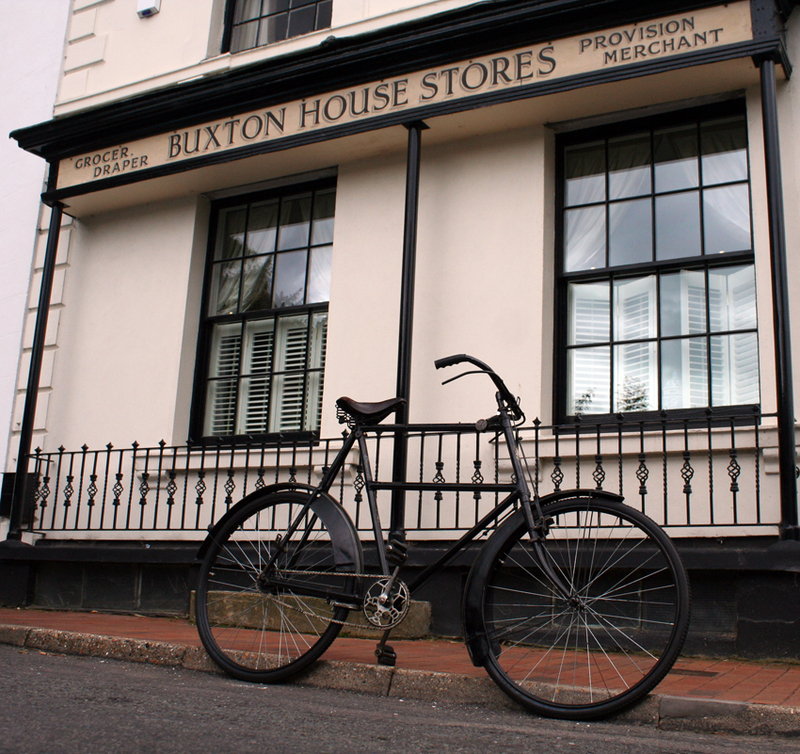 The Buxton House Stores is a listed building. 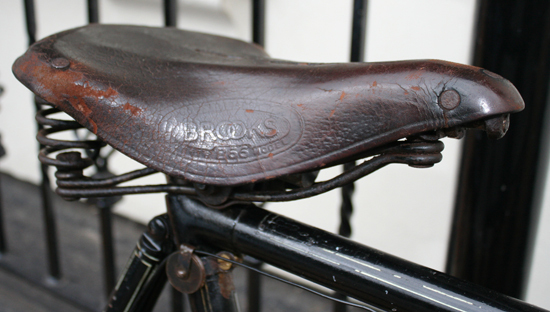 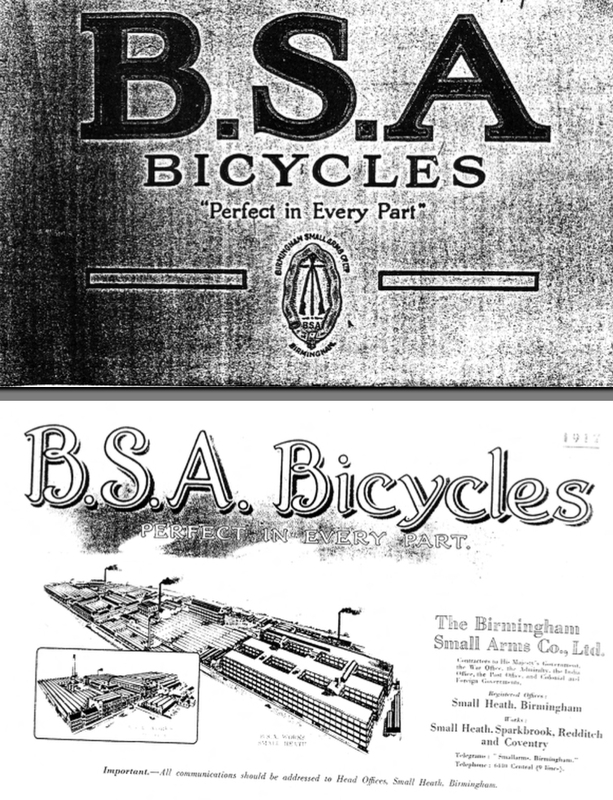 All Weather mudguards were available to purchase as an extra on BSA bicycles. 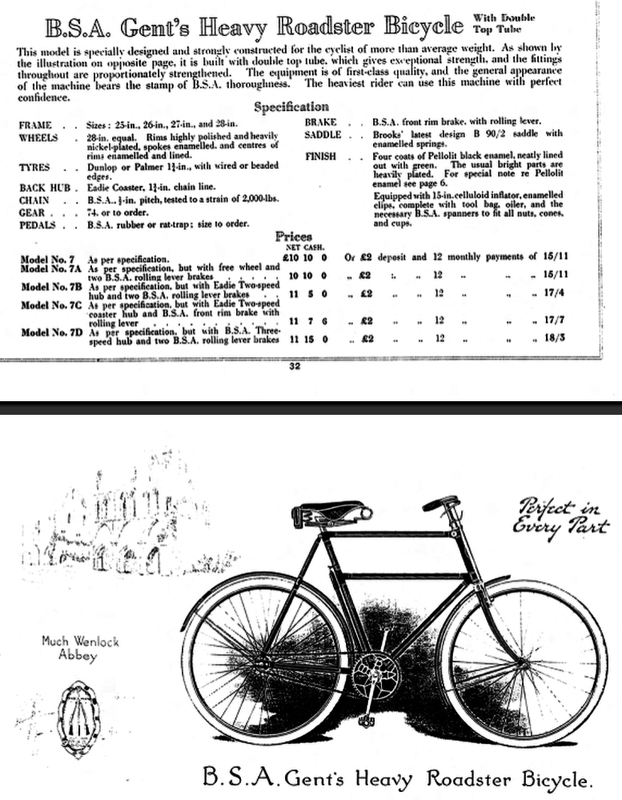 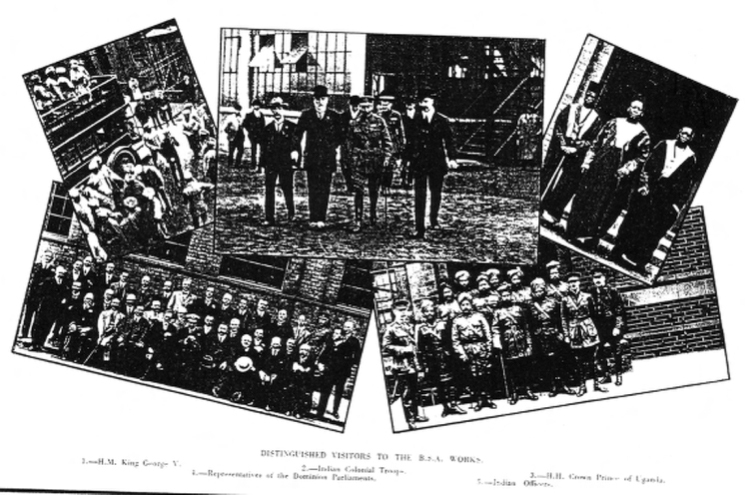 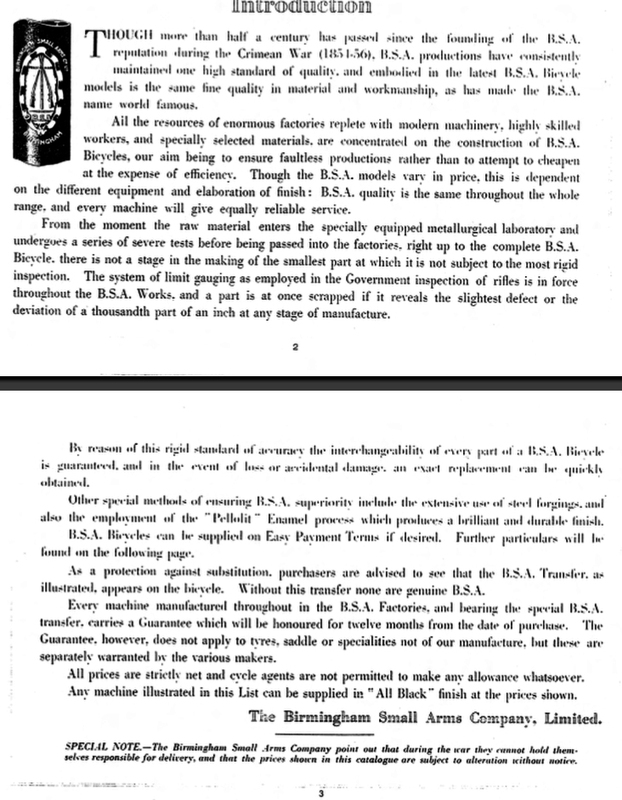 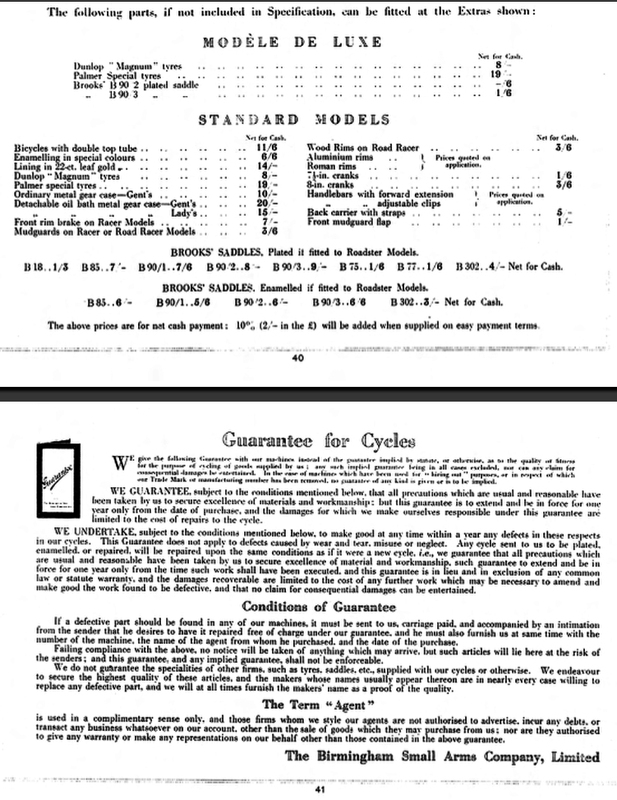 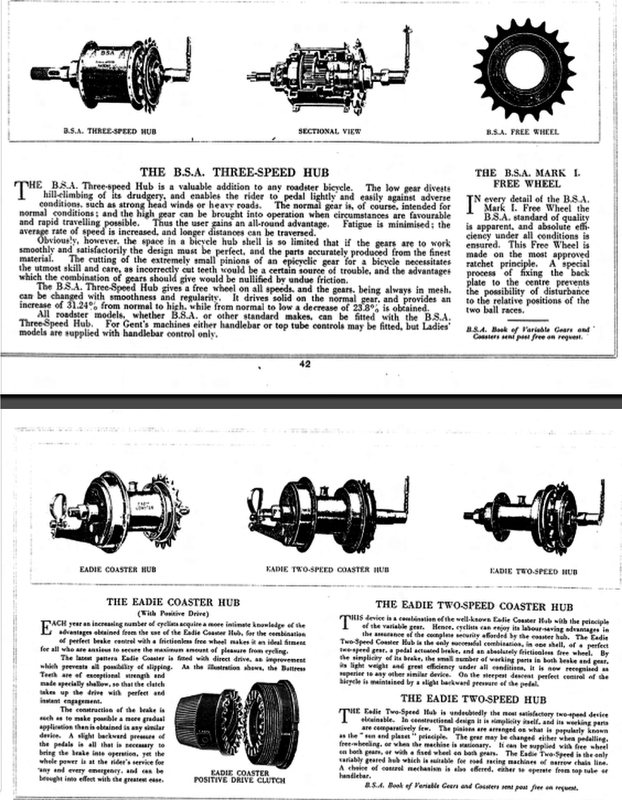 You can see them specifically fitted to the BSA Gent’s All-Weather Bicycle in the 1921 BSA catalogue above. 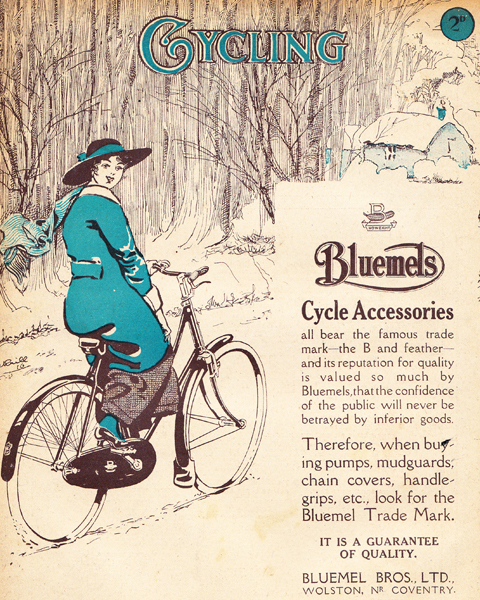 Bluemels Cycle Accessories was the best-known supplier of high quality All-Weather mudguards.